I got sent Eau Fraiche body mist- citrus verbena and the Eco tools fresh and flawless complexion set by the lovely people at my pure. I was so excited to give them both a try. The Eco tools 5 piece fresh and flawless complexion set consists of a flat concealer brush, buffing concealer brush, precision foundation brush, complexion blending brush and powder brush. These are a perfect set of brushes making a complete set to over ever aspect of your face. The brushes are lot smaller than most brushes meaning they are perfect for taking in your bag or for taking on holiday. The case the brushes come in are also a perfect way of storing the brushes and to use for travelling purposes. 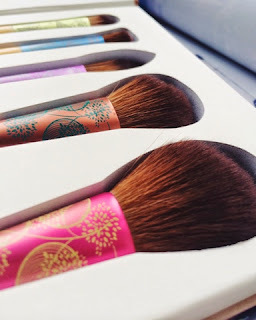 I've never tried any Eco tools brushes yet but I've heard great thing so far and I can't wait to caring on using as so far they feel amazingly soft when using and allows me to put my makeup on more accurately. I absolutely love this spray, I've only worn it a few times and I just love it! This is a body mist, it's light, fresh and perfect for summer. I already have a similar product from the body shop and I wasn't expecting to like this as much but I do. It's citrus and fruit scent is so refreshing. 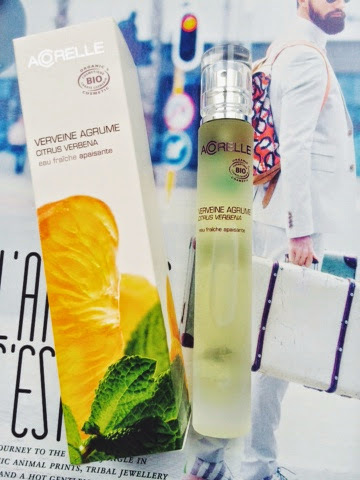 It's the perfect size to fit in your handbag as it's a long tube which is 30ml. As it's only a body mist it doesn't last very long but it's perfect for topping up in the middle of the day. I'd recommend this for a daily use. You can purchase both of these products from my pure you can also find them on twitter at @mypure. Those brushes are so cute, perfect for taking on Holidays. 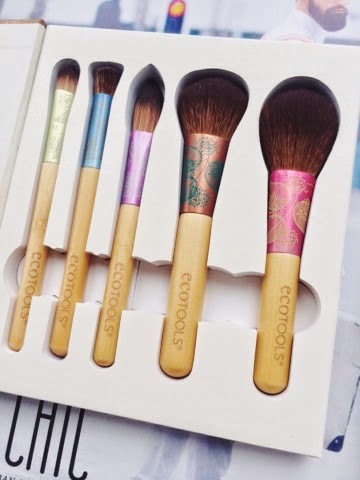 Eco tools brushes are some of my fave and this set looks like a future purchase to my collection! Those brushes are gorgeous, want to get my hands on some!